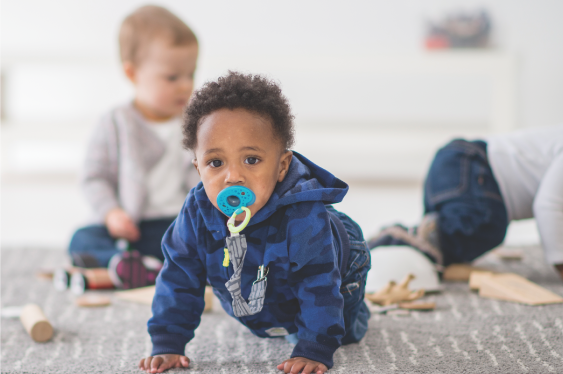 Caregivers at our infant care centers in San Diego provide exceptional infant care in a beautiful, sanitary and home-like atmosphere where your baby can develop and explore, as they play happily. They are highly educated, dedicated and take pride in helping each child reach important mile-stones. Daily records are kept so that each parent is connected to their child in a special way throughout the day. As the children engage in fun art activites, sing songs, go on buggy rides, and explore using their five senses, their experiences are documented both in writing and with pictures so that the fun and growth is enjoyed daily by parents. By offering a variety of scheduling options, we make sure you have the choice to use the care you need including full-time, part time, half days, and even hourly care. Also, when you need someone you trust to provide information about your child’s developmental progress, we are always available to become your partner and support your child’s specific care and unique needs. We fit unique Mommy, Daddy, and Grand-Parent schedules! Our infant caregivers provide lots of love and affection to all the babies in our infant center. They play a role in the social development of your baby by greeting them with big smiles and reacting to simple accomplishments such as clapping, with genuine enthusiasm. This encourages further development and positive emotional development. A loving and nurturing attitude, shown through hugs and cuddling, help babies feel secure and develop trust and begin recognition of self. Providing a clean and safe environment for infants is a top priority a Children’s Paradise. Messes made by infants are cleaned up immediately and steps are taken to sanitize areas without using harsh chemicals or smells. Each infant has their own crib and our caregivers keep a close eye on them during nap time. 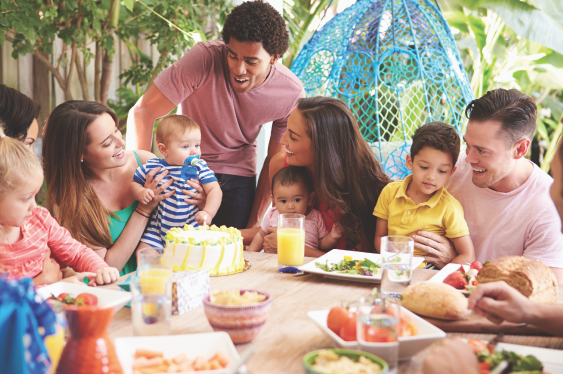 Food is served with appropriate baby utensils and immediately following feeding, utensils are cleaned and put away. We’ve also taken time to fill our infant centers with appropriate little toys for development. The infant environment at Children’s Paradise is cozy, peaceful and warm to make babies feel safe and secure as if they were at home. 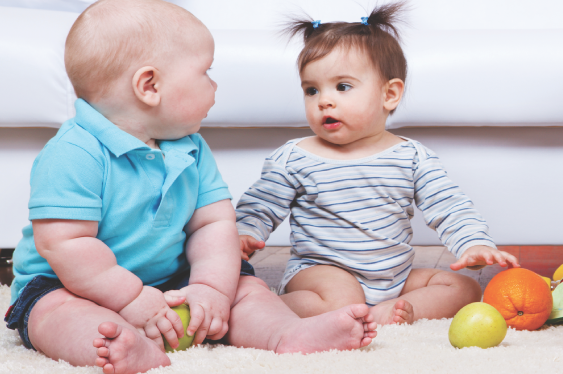 When ready, around three to four months, babies can role and crawl in soft cuddly cushions and play with toys developed specifically for babies. At this age, toys are chosen with a baby’s sensory development in mind so we incorporate lots of toys that have texture, color, and simple sounds like crinkling. 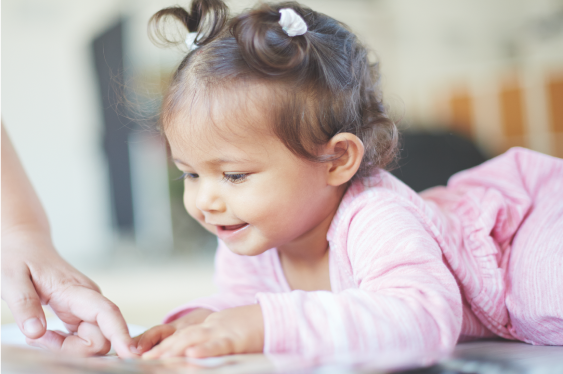 Singing and rhyming are very important to a child’s development, especially as an infant. Babies recognize voice much earlier than they recognize faces. We sing traditional lullabies and nursery rhymes such as Twinkle Twinkle Little Star and Wheels on the Bus several times a day to help prepare your child’s brains for language and speech development. Your welcome to join in any-time! We understand that leaving your baby creates a flood of emotions and anxiety. While caring for your baby is our number one concern, supporting the whole family unit is also important to us and the development of your baby. In addition to making drop off pleasurable for you and your baby, we have parenting classes, resources and other support systems to help you.